Mixed-race women's experiences cannot be separated from the history of race and gender politics and contemporary racial debates. The history of hybridity is one in which bodies of mixed-race people have been observed, theorized about, and used as evidence in racial power debates, but their individual experiences are often disregarded. Women of mixed heritage, mixed white and "of color," are caught in these politically charged, race-based controversies. Given general heteronormative assumptions, as women, and thus as people who can potentially bear offspring and who are expected to assume primary responsibility for raising children in a patriarchal culture, mixed-race women occupy a particularly charged social position. No matter what path a mixed-race woman chooses, she can be perceived as a traitor to both whites and people of color-a traitor to either side of her family, a traitor to equity, a traitor to cultural preservation, and a traitor to cultural purity. Silvia Cristina Bettez. "Mixed-Race Women and Epistemologies of Belonging," Frontiers: A Journal of Women Studies.�2010, Volume 31, Number�1, pages 142-165. Public funding for research on the action of drugs in countries like the United States requires that racial classification of research subjects should be considered when defining the composition of the samples as well as in data analysis, sometimes resulting in interpretations that Whites and Blacks differ in their pharmacogenetic profiles. In Brazil, pharmacogenomic results have led to very different interpretations when compared with those obtained in the United States. This is explained as deriving from the genomic heterogeneity of the Brazilian population. This article argues that in the evolving field of pharmacogenomics research in Brazil there is simultaneously both an incorporation and rejection of the US informed race-genes paradigm. We suggest that this must be understood in relation to continuities with national and transnational history of genetic research in Brazil, a differently situated politics of Brazilian public health and the ongoing valorization of miscegenation or race mixture by Brazilian geneticists as a resource for transnational genetic research. Our data derive from anthropological investigation conducted in INCA (Brazilian National Cancer Institute), in Rio de Janeiro, with a focus on the drug warfarin. The criticism of Brazilian scientists regarding the uses of racial categorization includes a revision of mathematical algorithms for drug dosage widely used in clinical procedures around the world. Our analysis reveals how the incorporation of ideas of racial purity and admixture, as it relates to the efficacy of drugs, touches on issues related to the possibility of application of pharmaceutical technologies on a global scale. Read the entire article in HTML or PDF. Instituto de Investigaciones Filosóficas, Coyoacán, México, D.F. In genetics laboratories in Latin America, scientists have been mapping the genomes of local populations, seeking to locate the genetic basis of complex diseases and to trace population histories. As part of their work, geneticists often calculate the European, African, and Amerindian genetic ancestry of populations. Some researchers explicitly connect their findings to questions of national identity and racial and ethnic difference, bringing their research to bear on issues of politics and identity. 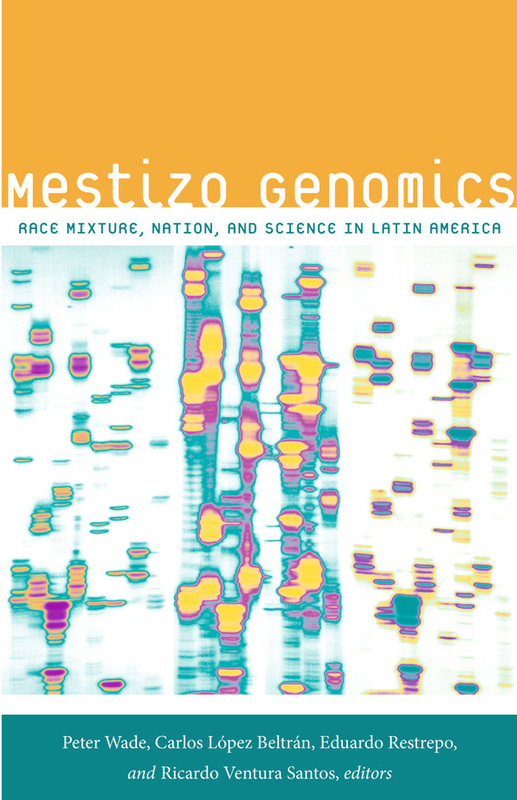 Based on ethnographic research in Brazil, Colombia, and Mexico, the contributors to Mestizo Genomics explore how the concepts of race, ethnicity, nation, and gender enter into and are affected by genomic research. In Latin America, national identities are often based on ideas about mestizaje (race mixture), rather than racial division. Since mestizaje is said to involve relations between European men and indigenous or African women, gender is a key factor in Latin American genomics and the analyses in this book. Also important are links between contemporary genomics and recent moves toward official multiculturalism in Brazil, Colombia, and Mexico. One of the first studies of its kind, Mestizo Genomics sheds new light on the interrelations between “race,” identity, and genomics in Latin America. In the contemporary world, “race” narratives are so multifaceted that at times, different views of the concept appear mutually incompatible. In recent decades biologists, especially geneticists, have repeatedly stated that the notion of race does not apply to the human species. On the other hand, social scientists claim that race is highly significant in cultural, historical, and socioeconomic terms because it molds everyday social relations and because it is a powerful motivator for social and political movements based on race differences. In this paper we present the results of an interdisciplinary research project incorporating approaches from genetics and anthropology. Our objective is to explore the interface between information about biology/genetics and perceptions about color/race in Rio de Janeiro, Brazil. We argue that the data and interpretation of our research resonate far beyond the local level, stimulating discussion about methodological, theoretical, and political issues of wider national and international relevance. 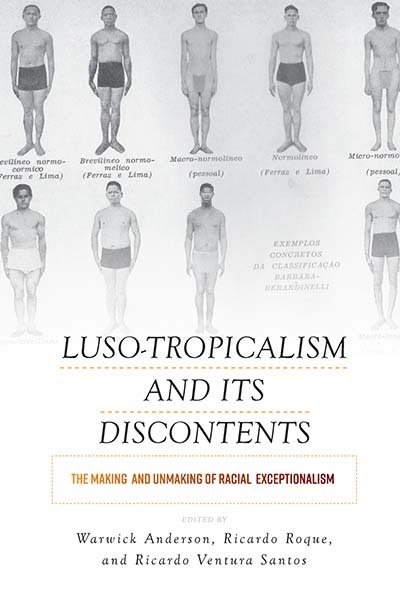 Topics addressed include the complex terminology of color/race classification in Brazil, perceptions about ancestry in the context of ideologies of Brazilian national identity, and the relationship between genetic information about the Brazilian population and a sociopolitical agenda that turns on questions of race and racism. This unique edited collection brings together biologists, geneticists, and social and biological anthropologists to examine the connections between genetics, identity, and health in South America. It addresses a wide range of theoretical issues raised by the rapid changes in the field of genetic sciences. Contributors come from Brazil, Colombia, Argentina, Uruguay, the UK, and the United States, providing a comparative cultural perspective for scholars, researchers, and students.